Born in South Germany in 1981 from a turkish father and german mother. Inspired by her turkish family of musicians and actors and their hot-blooded passion for expressive arts, Jazzmine discovered her love for music at an early age, encouraged by the warm support of her parents. Singing and dancing through her childhood and teenager years, she arrived at being the front singer of a popular ‘rhythm and blues / funk’ band at the age of 16. In the meantime she finished art school, where she learned to express herself through various media – pixel, pen and colour. 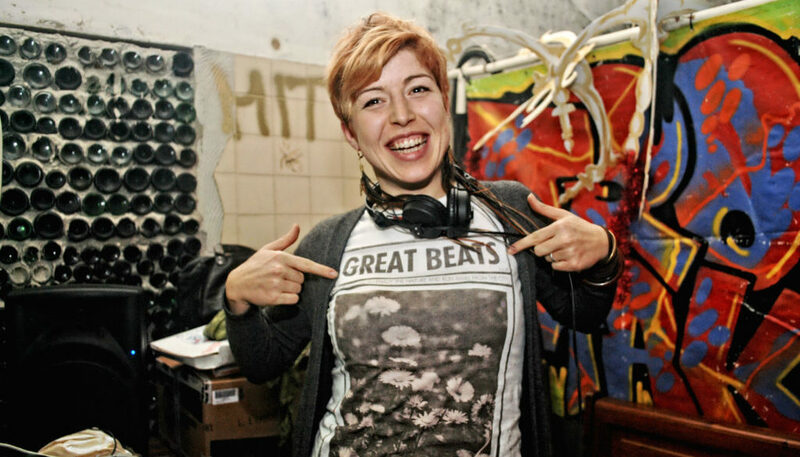 Her love for psytrance started with a visit in Munich’s ‘Natraj Temple’ in 1999, and after some years of various activities around the scene (Chaishop, Deco, Clothing), she started mixing Psychedelic Trance, having her first official appearance as a dj in 2003. Playing gigs all over Europe, one day (March 2008), she was invited to Bologna, where she met Luca – and a new era of her life was born. They founded ‘Blue Hour Sounds’ in 2009, and have kept going ever since. Jazzmine, as well as being the co-owner and DJ for BHS, created the image of the project – from logo to website, including a solid amount of CD/EP covers for releases on BHS. Her style – in both graphics and music – can be described as ‘organic psychedelic, serious, but self-ironic’. Jazzmine has played all over Europe, including Boom Festival (Portugal), Ozora Festival (Hun), Midnight Sun Festival (NO), Tundra Festival (LIT), Antaris (Ger), Waldfrieden (Ger), Blackmoon festival (IT), Freqs of Nature (Ger), Cosmo Festival (UK), Metsa Festival (Finland), Forest Star Festival (Sweden), Solstice Festival (NL) and countless other beautiful festivals and indoor parties.